click here 5'0" 5'1" 5'2" 5'3" 5'4" 5'5" 5'6" 5'7" 5'8" 5'9" 5'10" 5'11" 6'0" 6'1" 6'2" 6'3" 6'4" 6'5" 6'6" 6'7" 6'8" 6'9" 6'10" 6'11" 7'0" 7'1" 7'2" 7'3" 7'4" 7'5" 7'6" 7'7" 7'8" 7'9" 7'10" 7'11"
Pure style and sophistication aptly describes the HORSEHIDE COLLECTION. There's nothing like the feel of a genuine Horsehide shirt, especially one with as much attitude and quality as this one. Crafted with 1.2-1.4mm Genuine Front Quarter Horsehide. Dual chest zippered pockets, long sleeves snap at the cuff, two inside YKK zippered pockets, heavy Poly Twill shell, extremely durable lining. Hillside USA Horsehide Shirt is purely traditional with a dash of elegance. I have three shirts ,three vests and a jacket from Hillside Leather in cowhide, horsehide and bison. All of their products are second to none. The fit and finish are perfect. The shirt seems custom made for me. I recieve many compliments and they are well deserved. Joseph is a pleasure to deal with and he gives perfect sizing advice. Joseph made a custom shirt for my wife. The fit is perfect and she loves it. I look forward to doing more business with Hillside. 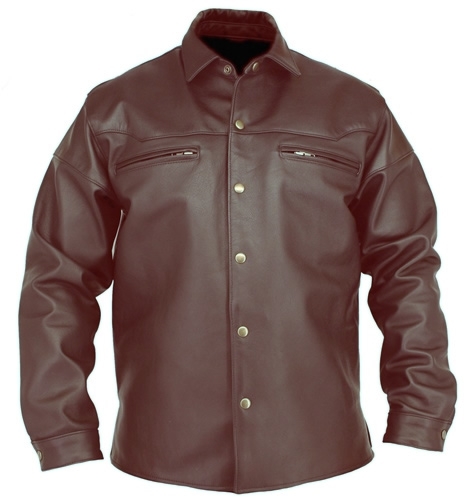 Made from the finest cuts of horse hide making this the sharpest shirt you will ever own. Mine fits so very well. Made true to size. The shirt sleeves are long enough that they stay down on my arm where they should when I'm holding my ape hangers. A very nice shirt to wear over a Tshirt to stay warm on a cool night on the town. All the ladies will look at you like you own them when you wear a Hillside Horsehide Shirt. 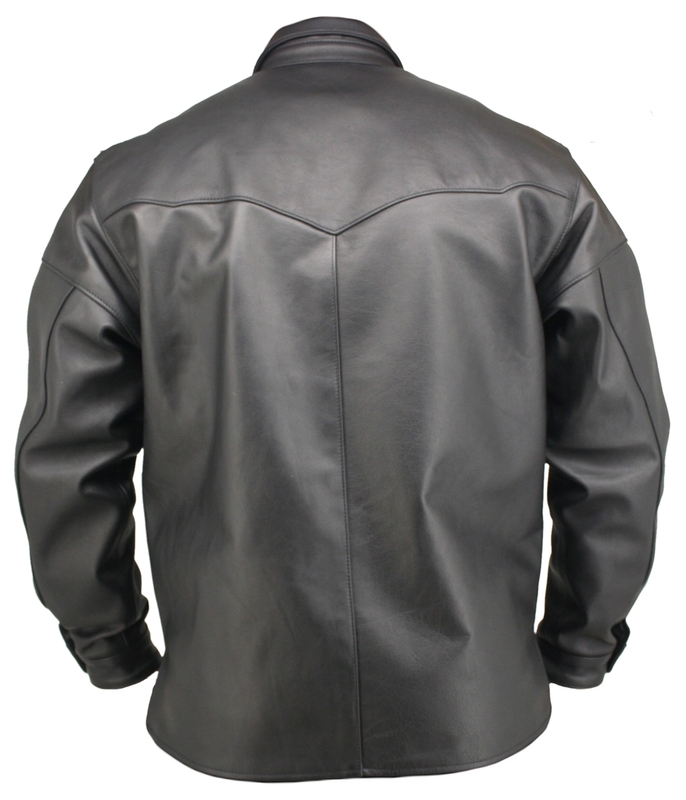 1.2-1.4mm Genuine Front Quarter Horsehide. Sleeves snap at the cuff. 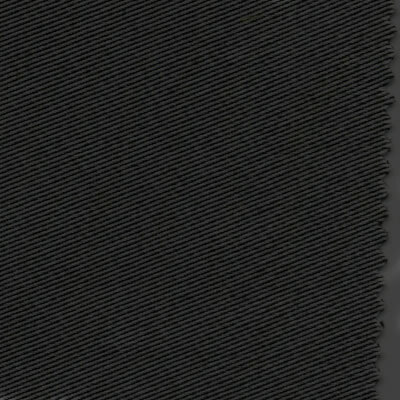 Perma Core Thread by A&E for strong Stitching. 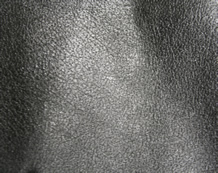 Horsehide leather is tremendously dense and non-porous. Until the end of the 1930's this was the leather of choice for its extreme durability. The density and non-porous nature of horsehide makes it durable , but it is also the reason that horsehide does not dye evenly. If multiple items are made from horsehide, there is a very good possibility that each piece will have slight color variations. These color variances and the markings of the skins are considered part of the natural beauty of horsehide and reassure its authenticity. Thickness or Weight - Leather is usually measured in terms of ounces. One ounce equals 1/64th of an inch thickness. Thus, a weight of 7 to 8 oz. means the leather is 7/64th to 8/64th of an inch thickness. In an effort to make leather a uniform thickness, wet hides are run through a splitting machine. However, each animal is different and there is always a slight thickness variation throughout the hide. 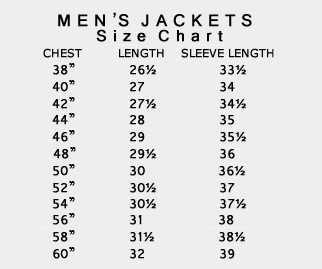 This is why leathers are usually shown with a range of thickness, such as, 4 to 5 oz., 6 to 7 oz., etc. 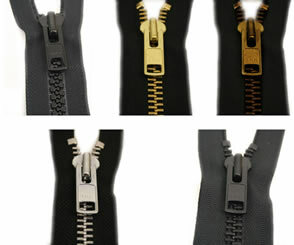 Since the late of 1950, YKK has been building up the worldwide group network and running Good Quality Management System throughout the network. In 1997, YKK established the Quality Management Committee, called FGQMC (Fastening Global Quality Management Committee) to assure the quality of their products at global level and to satisfy our customer with safety and reliability on our products. Poly Twill Fabrics are often used for sturdy work clothing or durable upholstery because of its strength and durability. Twill also recover from wrinkles better than plain-weave fabrics do. When there are fewer interlacing, yarns can be packed closer together to produce high-count fabrics. 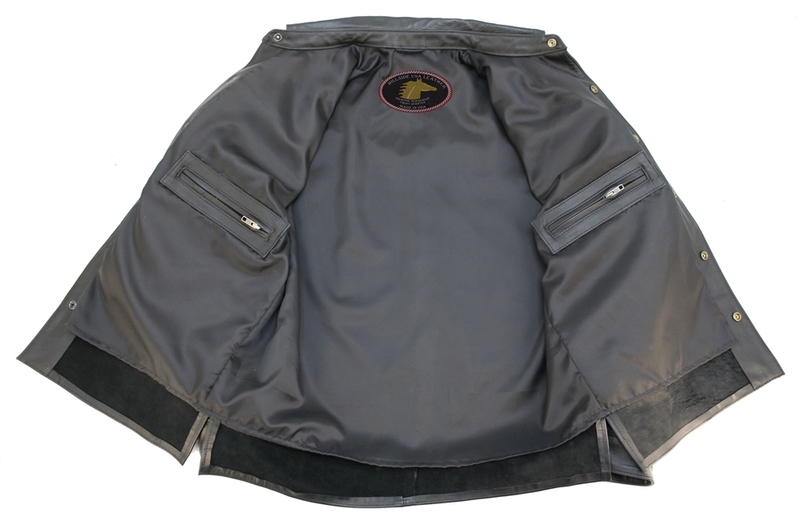 In twill and higher counts, the fabric is more durable and air- and water-resistant. 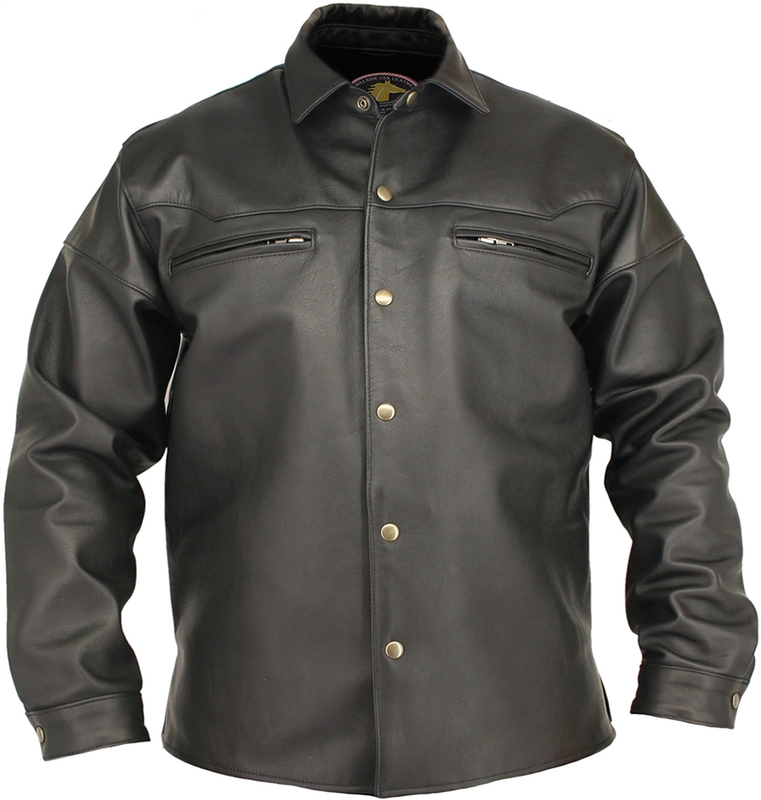 Hillside USA's products carry a LIFETIME GUARANTEE on the workmanship of every leather garment manufactured by Hillside USA. If a leather seam ever opens, a zipper breaks, a snap falls off or defective leather, we will repair or replace it for the life of the garment, under normal wear and use. Products that have become damaged due to pins, patches, misuse or neglect can be repaired but not replaced. Lining, Elastic and Velcro are guaranteed for three-years from the date of purchase. We will advise you of the cost of the repair or replacement and await your approval before proceeding. Hillside USA reserves the right to approve or deny a claim. Accessories section is not covered. Original invoice is needed in order to process your return. Damaged products should be returned directly to Hillside USA. You should send the product freight prepaid and insured, to the address below. Please include a note explaining the problem, along with $10.00 for return shipping and handling within the USA. International customers are responsible for the actual return shipping and insurance charges. Lifetime Guarantee is not transferable. 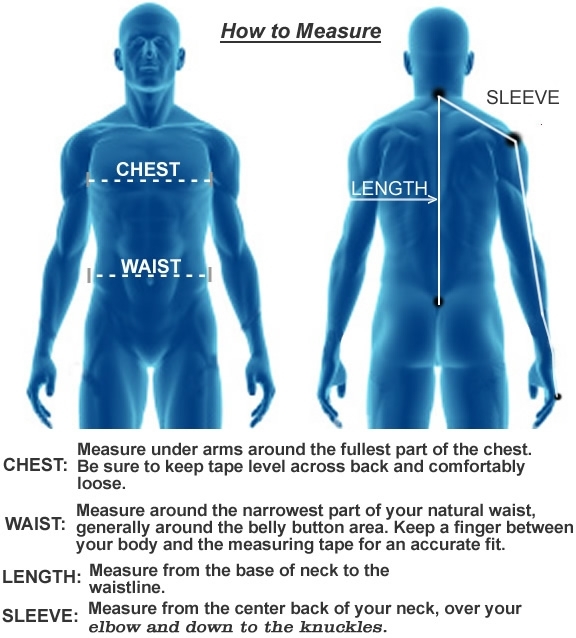 Length: Measure from the base of neck to the waistline. Copyright Hillside USA Leather. All Rights Reserved. with 3DCart Sell Online.